Instagram for me is probably one of my favourite social media apps, as I just love being able to share my life in picture form and capturing memories that you can look back on for years to come. Although Instagram is an absolute pain to grow since the algorithm came into place, I still love the platform and I love discovering new accounts to follow everyday! Following on from my recent 5 Blogs To Follow, I thought i'd share my current five favourite insta accounts! When the new year rolled in, I knew that I wanted to try and up my own content on Instagram but I soon became bored of forcing myself to post content I wasn't happy with to get a few measly likes, and it's so true what they say that once you stop forcing something usually it gets better and it's so true! In the past few weeks i've been upping my interaction more both in general but also through Instagram pods (which are the absolute bomb) and through this i've discovered some absolutely amazing accounts, so here are a few you definitely need to check out! Faye from Friday Faye is a total babe who I was introduced to through my first Instagram pod, of who has since started a blog that I absolutely love reading also! Faye's feed is literally the most perfect feed i've ever seen and is all things pink, pretty, girly and rose gold, of which i'm always swooning over and wondering how someone maintains such a beautiful feed! - Also Faye has got me on the hunt to find giant sized jammy dodgers that she always features in her posts! Caroline from Iridescent Places is a blogger babe that i've followed for quite some time but is another Instagram pod gal pal also, and i've always had a secret obsession over her feed. I love how clean and minimal she keeps her pictures, whilst also featuring the most beautiful products! I always find myself adding lipsticks and colourpop eyeshadows to my never ending beauty wishlist, and if you don't already follow Caroline then you definitely need to! Laura from Laura Mills Makeup is another babe I was recently introduced to through one of the Insta pods that i'm in (sorry not sorry), and her feed is just absolutely stunning. Every single flat lay, selfie or picture of her gorgeous cat gives me all the heart eye emoji vibes! Lauras feed is exactly what I wish mine looked like, but alas I do not have the time or skills to perfect a feed like she does, so i'll just continue to swoon and dream! Sophie from Fashion Bellee is a disabled blogger babe that i've followed for such a long time, and I absolutely love seeing her daily style looks that she posts as her outfits are always on point and so on trend! Sophie's feed is also beautiful and I love the mix of fashion, beauty and just general lifestyle content thrown into the mix, and every photo she posts just fits together so well, although i'd say she doesn't necessarily stick to a theme as such! 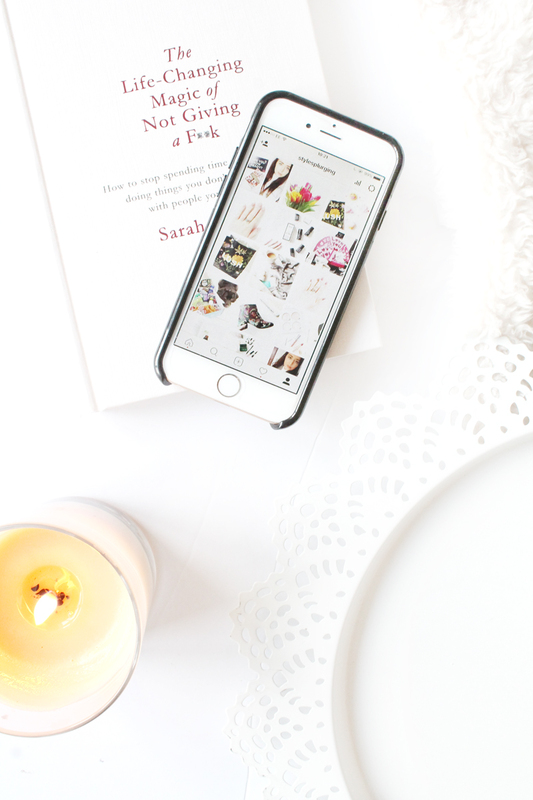 Definitely one to check out if you love a flat lay and a good pair of leopard print boots! Sally from Sally Okelly is an absolute stunner of a beauty blogger and not only is her blog one of my favourites to read, her Instagram is also one of my favourite feeds to scroll through! What I love about Sally is that she keeps her photos so individual to her own style and they are always so different to any other blogger out there, by using brightly coloured backgrounds and cute props, all whilst being so perfectly laid out! If you're wanting a new beauty blogger to follow, then definitely check out Sally's feed!